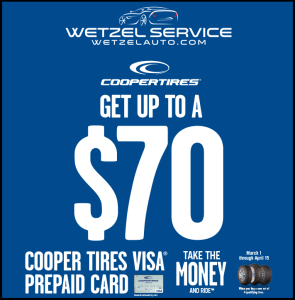 Do Your Tires Need Replaced? 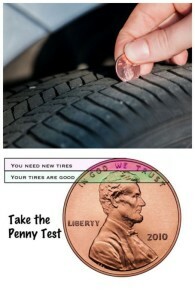 Do you know how to test your tire tread depth? We can help you find out! If you always see the top of Lincoln’s head, your treads are shallow and word. If this is the case, your tires need replacing. If part of Lincoln’s head is always covered by the tread, you have more than 2/32 of an inch of tread depth remaining. This means you probably don’t need to replace your tires yet. 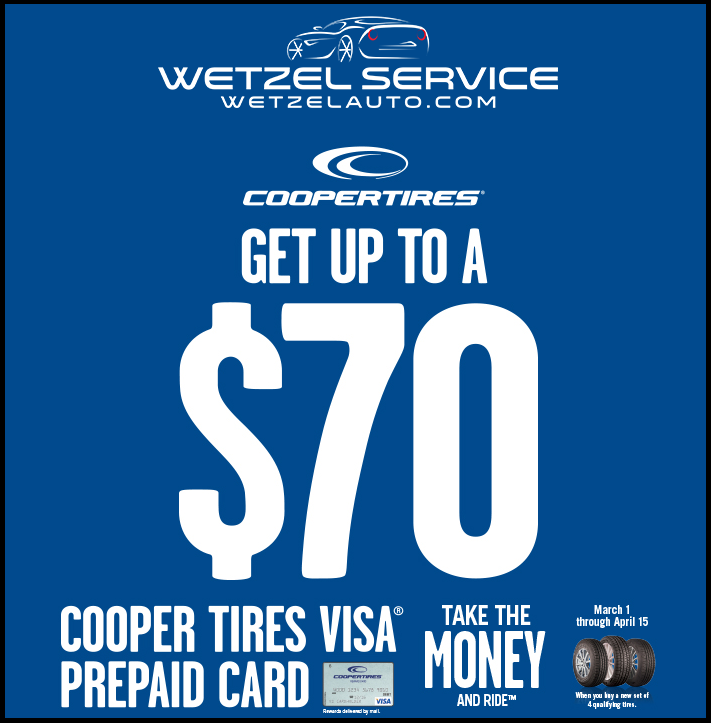 Now through April 15th at Wetzel Auto Service, get up to $70 Cooper Tires Visa prepaid card when you buy a new set of 4 qualifying Cooper tires. To see which tires qualify, click here. Want more information on quick vehicle maintenance checks you can perform at home? Watch our video! 0 comment(s) so far on Do Your Tires Need Replaced?